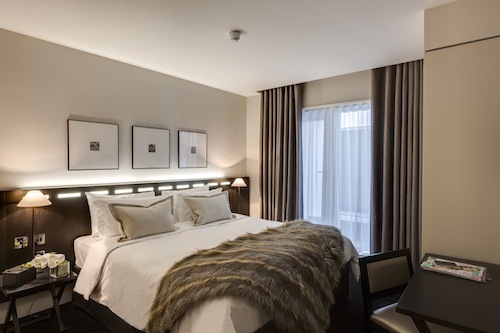 Saturday the 1st June 2013 The Nadler Soho, the new flagship property for Nadler Hotels, will open its doors in London. Located in the heart of Soho, the hotel comprises 78 rooms, a number of which come with terraced courtyards or Soho Square views. 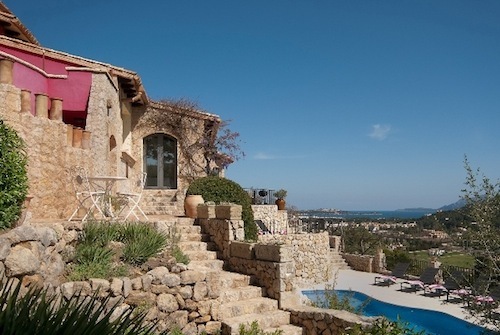 The property also features an exceptional penthouse suite: perfect for longer stays. The Nadler Hotels proposition is all about delivering four-star rooms, with five star service, at three star prices. Whilst many ‘affordable luxury’ properties focus on style over substance and place an ever-increasing emphasis on technology replacing service, Nadler Hotels offer genuine luxury and value by concentrating on doing the essentials exceptionally well. The Nadler Soho, together with the Kensington property, will be the first UK hotels to offer the Newspapers Direct app, allowing guests to download over 2,300 international newspapers in 55 languages to their devices for free whilst staying at the hotel. All mini kitchens have been installed withBRITA water filter taps, found in all bedrooms. The hotel also offers a boardroom that can host up to eight delegates, available to rent by the hour. With a focus on service, at the centre of the Nadler experience are their front desk ‘Local Ambassadors’. Tapped into the local neighbourhood, they can provide introductions to the best bars and most exciting restaurants, and share insider knowledge on where to go and what to do in the local community. A true family project, the interior design was managed by Clarissa Nadler, CEO Robert Nadler’s wife, while the newly installed artwork was created by Ronald Diennet, Robert’s step son, with the FF&E upgrades under the management of Robert’s other step son, Dorian Dreyfus. Guests can enjoy well planned rooms, complimentary Wi-Fi, 30 minutes of free local and national calls per day, pillow menu for a relaxing night’s sleep, discreet in-room mini-kitchens with Nespresso machines in larger rooms, high quality linen from Josephine Home, ghd hairdryers and room amenities from Gilchrist & Soames. The opening coincides with base2stay – the group’s holding company – becoming Nadler Hotels, as well as the refurbishment and rebrand of the group’s Kensington property to The Nadler Kensington. The Liverpool hotel will remain a base2stay and become the flagship of the group’s regional business. Rates start from £130 per room per night, and for bookings visit www.thenadler.com or call020 3697 3697.